This is a new kind of a pollution most of us have not heard off! actually, we all observe that night lights are on both in the streets and in residences even when there is no human activity. infact this is a great opportunity for efficient light monitors to be introduced that can regulate the power to put lights in energy saving mode. Thanks Levine for sharing those two links. In addition to the long list of other pollutants, light has also been added thanks to our inefficient use of lighting. 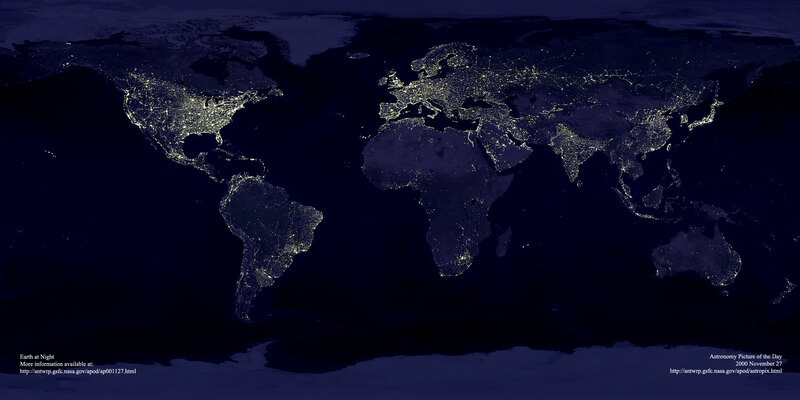 If you think light pollution is the inevitable result of progress, think again. Most of the lighting system that we use only add to the already existing glare and clutter, you can very well manage without all this. In fact reducing light pollution is not at all a difficult task, it just takes some consciousness and responsibility to switch off unnecessary lights.